We have listed several types of monitors below with easy links to find them. Some of the links are affiliate links. We have not been paid to review or endorse any product or manufacturer. Using affiliate links costs you nothing more, but does allow us to receive a small commission from the vendor which helps support us in our efforts to bring you information like this. As always we appreciate your support. As the weather heats up (or also when it gets too cold), our concern for the safety of our dogs or cats does as well. RVers can especially be concerned about leaving their pets in the rig while out exploring a new area. We can do some things, like explore early in the morning when it is cooler, or be hooked up and leave the air-conditioning on (or heaters in winter), but what if it is warmer or colder than we think? And what if the power goes out back at the RV? Our pet’s lives can actually be at risk. The minimum features that you want to look for are: a temperature sensor that alerts your cell phone when temperatures go out of a range you set and alerts when the power goes out. Knowing when the power goes out is a huge advantage, because you will know that the air-conditioning is no longer working well before the temperature gets to a dangerous range. 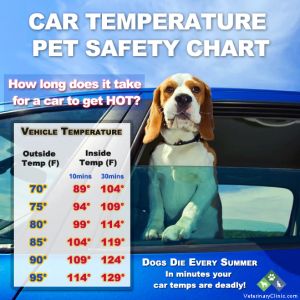 This gives you additional time to return and rescue your pet, whereas just having an alert when it gets hot means you don’t know until the situation is already starting to get dangerous. Features that are also nice but not required, are being able to check the current temperature as often as you like (so not just an alert when out of range), being able to see or interact with the pet, and sensors for other problems like security or water leaks. These systems are designed to reduce risks, not eliminate them. But it is a lot more comforting knowing you can check on what is going on back at the RV whenever you like. Most of the dedicated systems run through a server in the cloud that is always up, so you will be notified if the conditions worsen, the power goes out, the connection is broken or signal down, you know to head back right away. All these systems still require good common sense, and if the temperatures are going to be extreme, you shouldn’t leave your pets alone, even with a monitor. All the systems also require you to have a working cell phone with you and to be in cellular range to receive the notices and alerts. Each item described below also has a link to more information so you can further research the capabilities and limitations of the system. Pricing on the systems may change, so I generally avoided listing them here. But the provided links will allow you to quickly view the latest prices. Temperature monitors are one of 10 gizmos and gadgets we think RVers with pets need. We have a free list of 9 more that you can get when you sign up for our monthly newsletter. It’s a newsletter for RVing pet owners with all sorts of helpful information like this article, and you can always unsubscribe at any time. Subscribe now and see the other 9 awesome gizmos and gadgets. Often when you are in a vehicle or RV, you are somewhere that doesn’t have access to reliable WiFi. This is where the cellular-based systems shine. While you do have to be within range of a cellular signal, cellular systems use a cellular account to text you alerts when the temperature is a concern. Various systems have different features you can choose. All the ones I have listed include sensing the temperature, and notifying when there is a power outage. Most have additional features as well. Because they rely on cellular, they do require a cellular account to operate. This means a monthly fee to maintain that account. Most services will supply the cellular account. There are many different sensors out there, so let’s look at the features of a few of the more popular brands. Monitor your home from any computer, smartphone or tablet. The MarCELL Cellular Connected Monitoring System is a cell phone based product that monitors the temperature, humidity and power status in your remote home, business, vacation property or other sensitive property. What’s also nice about the model linked above is that it includes one Water Puck. Simply place these small, battery-powered wireless sensors behind toilets, under sinks, next to hot water heaters alongside your sump pumps or anywhere you could have a potential water problem. You are notified immediately if water is detected. This can be a big bonus for RV users. For the cellular account, there are 3 different plans you can pick from: monthly is $14.95, seasonal (4-8 months) is $11.95 a month, and annual is $99.00 (which breaks down to $8.25 per month). Start and stop your service at any time. Generates text and email alerts through cellular network. The low-end unit is $179 at the time of this article, and the cellular account can be purchased for $15 per month pay as you go (so you can turn it off when not using it), or $10 per month if paid annually. BONUS: Tires and Tails Readers get $60 off 3G or 4G products when they use coupon code TAT60 at check-out. iSocket3g – isocket3g.com – One nice feature of the iSocket3g is that you can swap out the sim for something like a prepaid cell sim. It does require the temperature sensor to be used as a temperature monitor. It also has a lot of features, as it is more than just a temperature monitor, so it can be more intimidating to learn to use it fully. But if you want a lot of features and are a bit tech savvy, you will want to check the iSocket3g out. I have chosen not to include temperature monitors that are collar-attached, due to concerns about the accuracy of their temperature sampling. 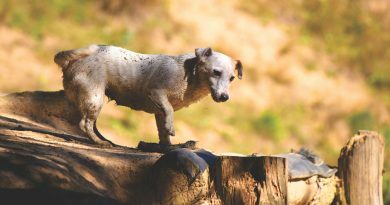 If you’d like to know more about these concerns, Whistle (a well-respected GPS pet tracking company) released a statement as to why they chose to discontinue development of this feature. As you would expect, WiFi systems require a reliable WiFi connection and work over the internet. For most RVers, this means not relying on the park WiFi which is often slow and unreliable. However, if you are stationary, you may have a paid park connection arranged that is more reliable. But for most people, this system will also work for people that have a cellular hotspot that they can leave in the rig when out and about. The sensor then uses that WiFi signal to send the alerts. In the case of power outages, many of the systems monitor your connections from an external cloud server provided by the manufacturer, and alert you if it is broken due to a power outage or problem with your WiFi connection. If you choose a system that does not run through an external server, it does mean your hotspot must be able to work off battery and not use a plugged-in router or you will not be notified when the power goes out. One nice thing about WiFI based systems is that they frequently can offer advanced features cellular systems can’t, like video, and being able to speak to your pets to comfort them. They also don’t require a monthly service fee unless you want some extended features. Canary Security System – On Amazon – This system has a number of options besides monitoring temperature, since it is a full security system. For example, audio and video, and motion-detection, works with Alexa, and a security siren. One big shortcoming is that it does not have a battery backup, but it will alert you when contact has been lost, so if the power goes out, you will be alerted, you just cannot be certain if it is power or just internet that went out. But it is surprisingly affordable. In fact, there are too many options to cover here, but if you have a WiFi connection, it is worth a look. Piper System – On Amazon – Very similar to the Canary system as a more complete security system with cameras and the 2-way speakers to talk to your pet, but it does have a 5-hour a battery backup so you can monitor even when the power goes out. LaCrosse Alerts – On Amazon – Basic monitor that tracks real-time temperature and humidity. The feature set is limited but it is quite affordable at around $28.50. You can view temperature and humidity anytime for free, but it does require a $12 per year subscription after a free 3-months if you’d like to receive alerts by email or text alerts when temps go out of range. PetCube – petcube.com – If you want to go above and beyond, PetCube offers pet monitors with video that can also interact with your pet. This includes laser pointers that you can control to remotely play with your pet, audio to speak with your dog or cat, or the ability to release treats for your pet. They are more expensive than other WiFi options, but surprisingly not a lot more than cellular-based systems. Temp Stick – On Amazon – Basic monitor system which monitors temperature and humidity (which can help detect some water leaks), and tracks data history. If you have an additional phone, old phone or tablet, or a webcam, many can be repurposed to serve as a monitoring system. Alfredapp, Presence App, Or Other Webcam System – Apps like Alfredapp and Presence, or simple webcams can provide video monitoring of your pet over cellular data or WiFi (reliable hotspot or connection required). Besides looking at your pet’s activities, using the video monitor, you can place a large numbered digital thermometer within view of the video to see what the current temperature is. Some people also will put streamers on an air-conditioning vent within view so they can see if the AC is actually operating. If you have an extra phone, this can be a very low-cost option. Many webcams have the added abilities. The WiFi-enabled Wyze camera ($26 on Amazon) also has night vision, while the Wyze Cam Pan ($38 on Amazon) can pan and tilt at your command if the pet isn’t in the line of sight, for a lot of peace of mind and very little money. One shortcoming of a repurposed system though, is you are relying on your own setup to provide the updates. This means you have to remember to check it yourself to make sure it is still updating as it should. If your system goes down, you will be aware that it isn’t working if you are checking it, but you will not have a cloud server that is still operational to notify you that it is down. Whereas a dedicated cellular and WiFi systems, like many of those listed above that have servers that manage your updates, would be able to do that for you. Without knowing what you want, it is hard to say which is best for your situation. However, here are our favorite pet temperature monitoring systems in general which may help you weed through all the options. WiFi Based: Piper – Because of the big advantage of battery backup when power goes out. Great Features: PetCube – It’s fun to not just monitor, but interact with your pet(s) too. Cheapest Standalone: LaCrosse Alerts – Hard to beat the price without providing your own equipment like repurposed systems. Believe it or not, there are other options available as well. But these options cover all sorts of situations and price ranges, so listing more probably isn’t really helpful at this point. One of these options should allow you to provide safety for your animal against temperatures hot or cold, as well as give you peace-of-mind. 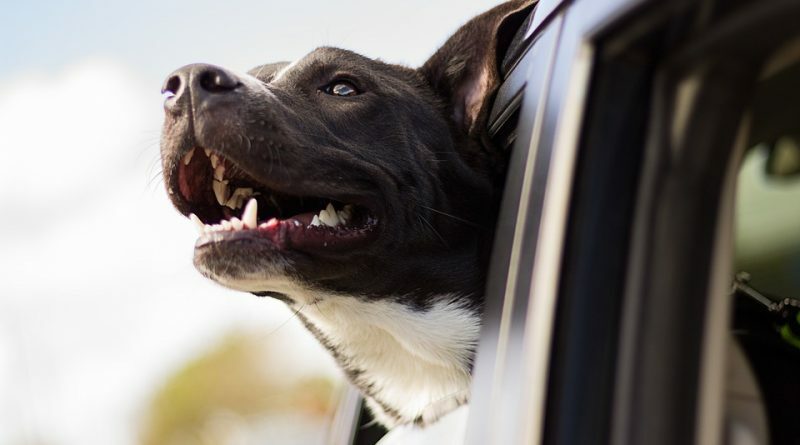 We will be providing additional articles on Tires and Tails for ways to keep your pet cool, as well as how some RVs can set up their generator to kick on to continue to run their air-conditioning during power outages, so look for those as well. Keep those dogs and cats safe out there! Subscribe to our monthly Tires and Tails newsletter and find out 9 other items we think RVers with pets should have.